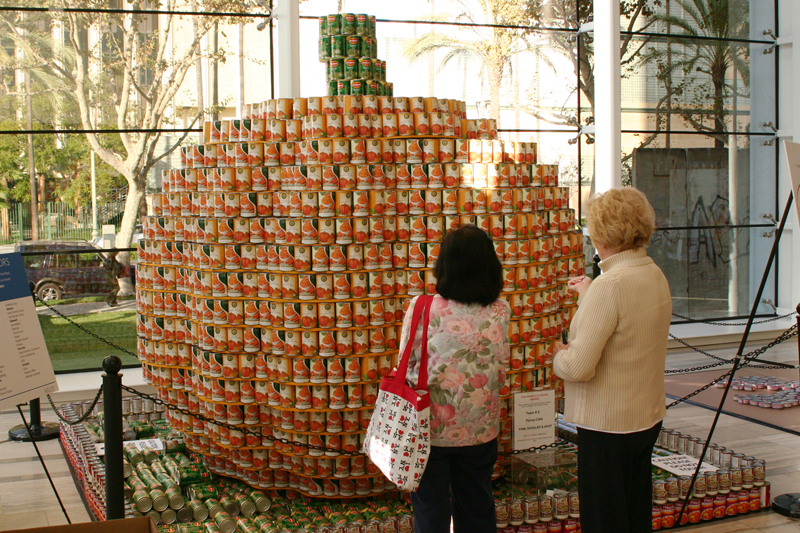 …and I’m just now carving a pumpkin. 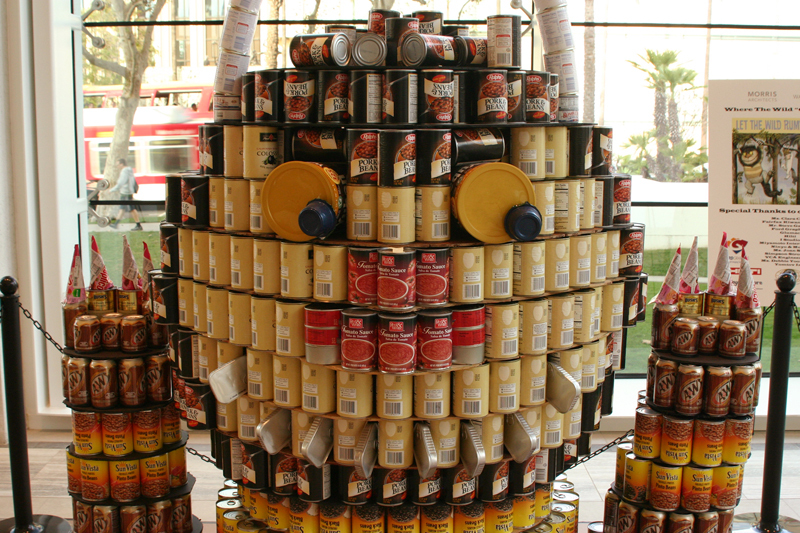 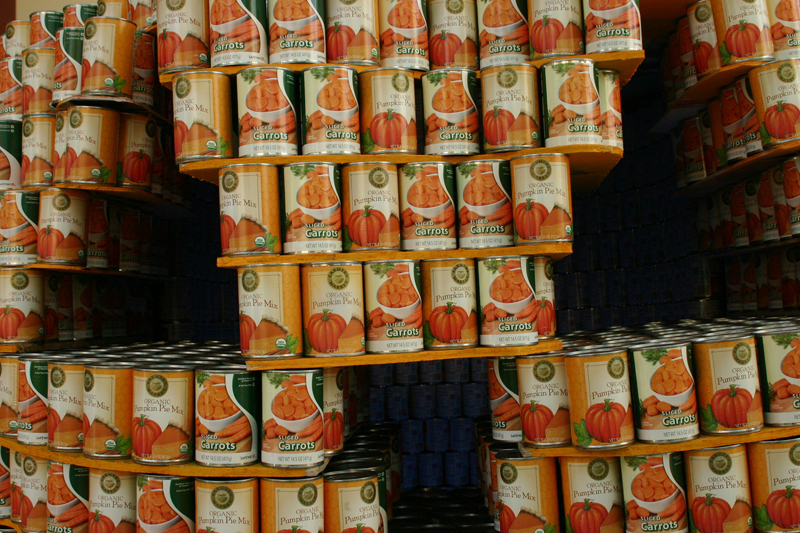 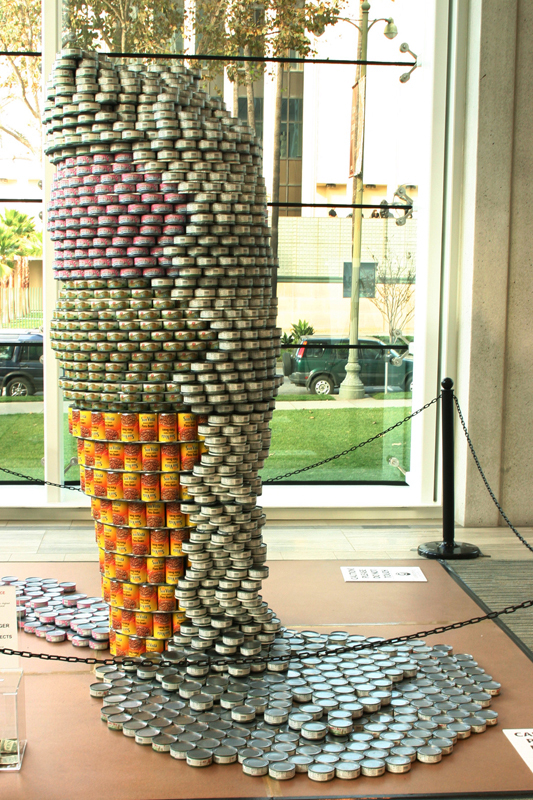 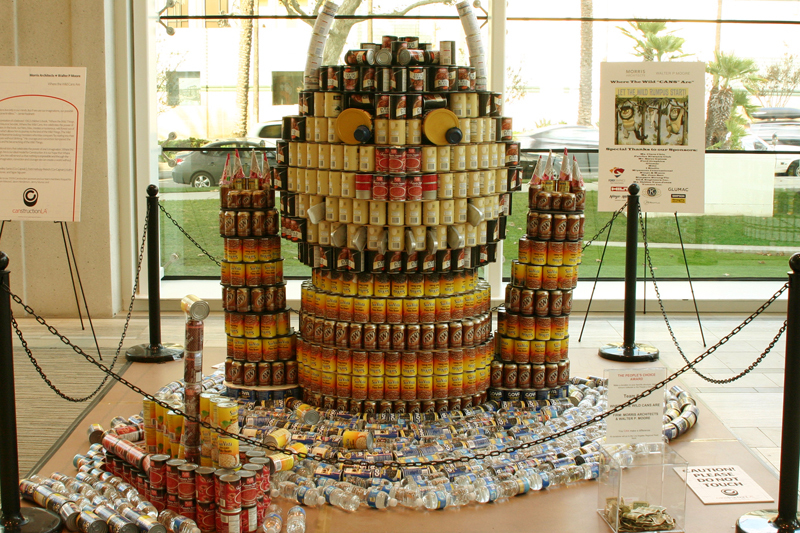 A few weeks ago, in the lobby of the Variety Building on Wilshire, artists created enormous sculptures out of nothing more than canned food. 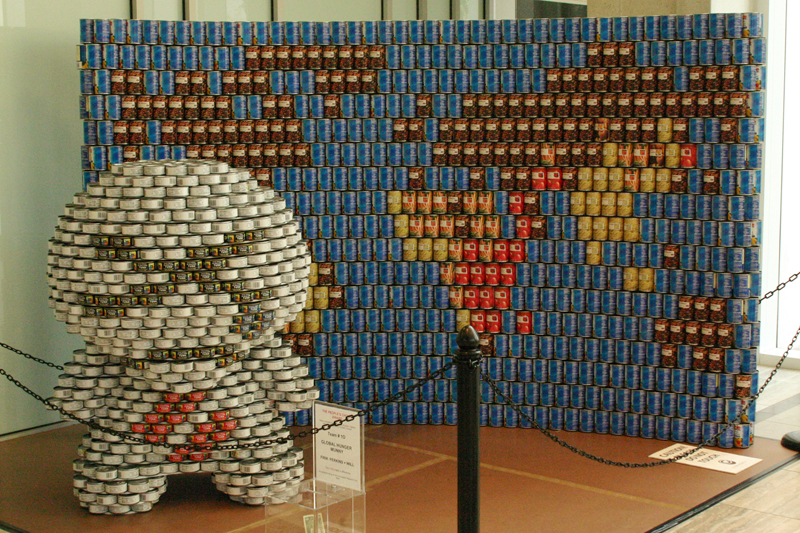 I took some shots while I was there. 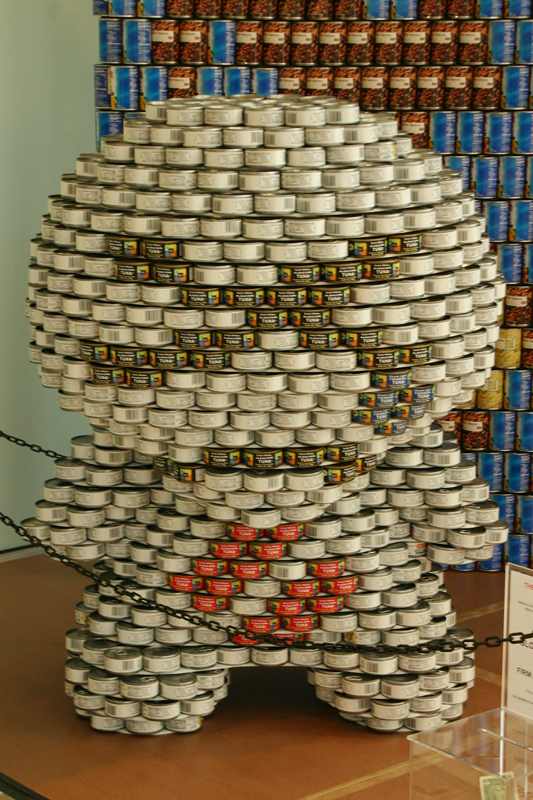 Click on each image to view a larger version.